Is the New British PM a Disaster for Cannabis Reform? Theresa May is not known for her open-mindedness on drug policy. Will her backward stance on decriminalization continue as she leads the country? Theresa May is not known for her open-mindedness on drug policy. In fact, the UK has seen backward movement on drug reform during her time as home secretary. Will her backward stance on decriminalization continue as she leads the country? What does the new UK Prime Minster mean for cannabis, anyway? Theresa May thinks UK drug policy is working. Back in April, The Independent reported that May and her aides attempted to delete sentences they didn’t agree with out of a drug report. Their targets? Claims that suggested that there was no obvious link between zero tolerance drug policies and levels of drug consumption. The report is called Drugs: International Comparators and it looks over the results of various types of international drug policies. The International Comparators Study does not say there is no link or impact between tough penalties and drug use. It makes clear that approaches to drugs legislation and enforcement of drugs possession are only one element of a complex set of factors that affect drugs use, including prevention, treatment and wider social and cultural factors. May’s aversion to opening up the decriminalisation debate has inspired protests. Last year, crowds gathered in Parliament Square to collectively inhale nitrous oxide, or laughing gas. The group-inhalation was a direct protest to the Psychoactive Substances bill, which seeks to outlaw all legal highs. The bottom line is, the only way of knowing whether a mystery substance alters the mind is to take it. You simply can’t tell by chemical tests, because there is no direct mapping between molecular structure and mental experience. If you could solve the problem of working out whether a substance would affect the conscious mind purely from its chemistry, you would have done Nobel prize winning work on the problem of consciousness. It’s safe to say that May hasn’t exactly had the best track record for open-mindedness in drug policy. 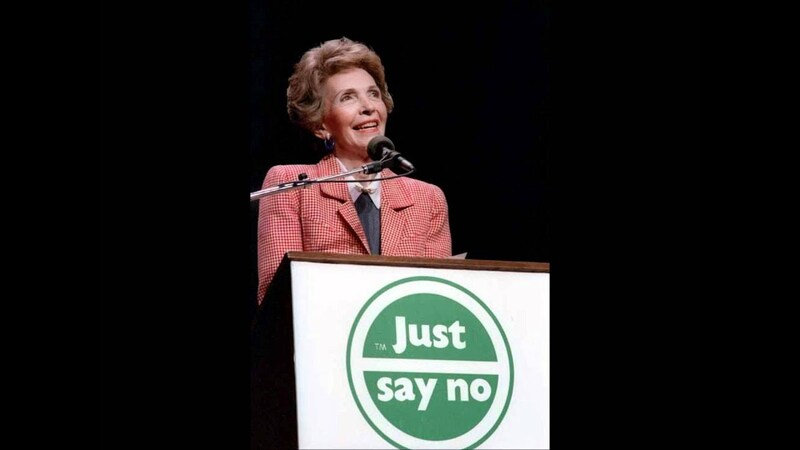 Perhaps taking a cue from Nancy Regan, May stands firmly behind a “just say no” approach. Though her domestic drug policy choices may be put to the test after taking office, cannabis-lovers shouldn’t expect much from May. Based on her tough-on-drugs history, it’s only logical to assume this mentality will continue in respects to our favorite herb. Though, while May herself has been a hardliner, recent reports suggest that her Conservative Party colleagues seem to be changing their attitudes on the subject. 50% of Conservative MPs now support cannabis for medical use. 33% are against. In general, the majority of MPs support medical cannabis reform. So, while cannabis supporters in the UK may find May to be a huge let down for drug reform, at least Members of Parliament seem to offer some hope. Unfortunately, UK cannabis policy is about as up in the air as post-EU Britain at the moment. Only time will shed light on the future of the movement. In the meantime, activists and herb-lovers need to stay strong and keep fighting. What do you think May means for cannabis? Share your thoughts with us on social media or in the comments below. We’d love to hear from you!